In this episode Bruce Felber Corporate Brand Specialist, Marketing Czar, Ultimate Volunteer shares Outcome Selling Vs. Product Selling! After the tip, we go backstage where Bruce shares, Why he does what he does, How he gives back at work, His favorite marketing tool and more! My name is Bruce Felber. I am the corporate brand specialist for The Image Group. Today I’m going to talk about outcome selling versus product selling and what it means to you. The outcome is what you expect to happen out of this marketing campaign as opposed to a quick fix of a product or a service to accomplish that. Outcome selling is the end result that you or your client desire to move your marketing forward. What they want and what they want the project to be. An outcome is I want 60% more sales in widgets this month and I want to do it with the least amount of dollars as possible, or I have a new brand and I need to get the brand out there, as opposed to product selling or transactional selling, which is coming up with a solution that may be a temporary fix, but it’s not the ultimate solution. It may not be the desired result. An example of a product would be a brochure, trade show, promotion, that type of thing. Get the best results for you or your client by learning to understand how important the outcome is, as opposed to the quick fix of a product or service. The first step is to probe your customer. What I mean by that is don’t be afraid to ask questions. Why is this product important to your consumer, or to your audience? What do you want it to do? Why do you wanna increase sales? Why is it important to you? What’s the profit structure. That’s what probing is … learning what your customers needs are and understanding their desires. The wrong questions would be … where do you want this to class? When do you want this to go out there? Those are transactional questions. After [inaudible 00:01:41] has been reached and the desired outcomes, it’s now time to develop with continuity campaign to carry those messages out to the desired audience consistently and with the same message. An example of a continuity program is using the same colors, the same typeface, the same graphics to get that message across. And that means carrying it across any part of the campaign that you do, so that you’re always tying back into the tagline, the message, and the brand. They should carry the same message, and it should have that strong call to action. Call to action is what do you want me to do when I’ve received this ad, I’ve received this piece? Do you want me to call you? Go to a website? Go to an event? Respond? So now, it’s your chance to get the big picture by focusing on outcome rather than individual product or transactional sales. Bruce is The Image Group’s dimensional marketing czar, an award-winning authority on direct mail and promotional campaigns. His projects for manufacturing, healthcare, and construction companies have won him countless honors. Whatever your industry, if you’re looking to position your brand through direct marketing, Bruce is the one to call. 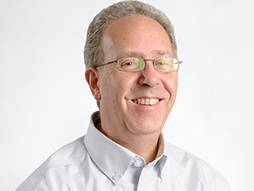 Click here to find out more about Bruce Felber.